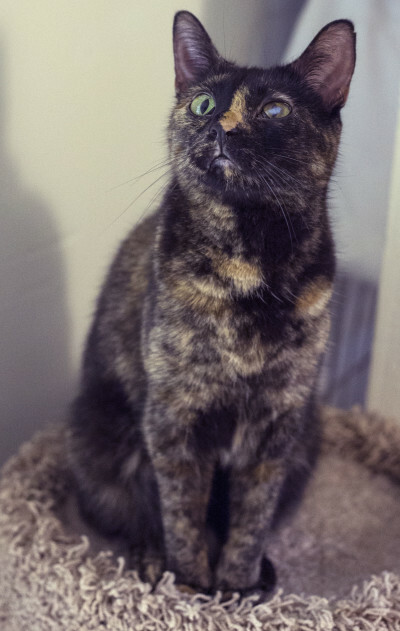 Surrendered when her owner lost his home, Cleo came to us along with her housemate Sinder. Being petted is what Cleo is all about and her purr says it all! She would like a human companion to snuggle next to and would be more than willing to help with your computer work, T.V. watching or just lazing about. Cleo has lived with other cats successfully but would likely be best suited with another mature, calm, kitty that is cat-friendly. 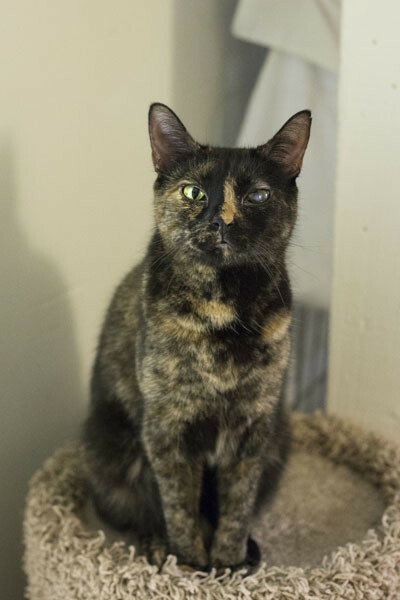 This pretty tortie would make a great lap kitty and a faithful friend.